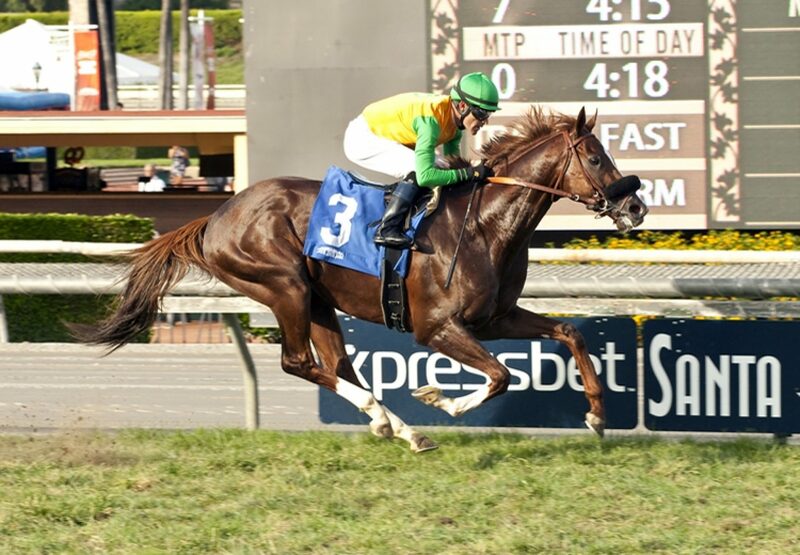 Classy colt Om (3c Munnings x Rare Cat, by Tabasco Cat) made it back to back Graded victories when taking out the $200,750 Grade II Twilight Derby at Santa Anita on the weekend. A last start winner of the Grade II Del Mar Derby, the classy colt led throughout and powered to the line to win the 1 and 1/8th mile contest on turf by more than two lengths. Om is the colt that beat Triple Crown hero American Pharoah at Del Mar last August when the star colt was making his debut, but while American Pharoah has since gone on to become a legend, he has taken a little longer to hit his straps. Trained by Dan Hendricks, Om has the overall record of four wins and two placings from eight starts with prizemoney topping $390,000. 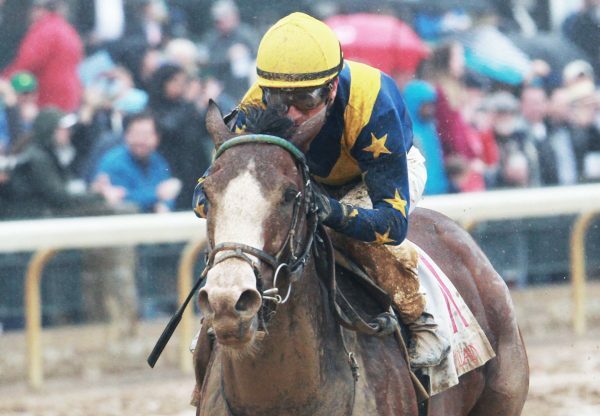 A $60,000 Keeneland September Yearling, he fetched $125,000 when re-offered last year at the Barretts March Sale after breezing a furlong in a tick over 10 seconds. 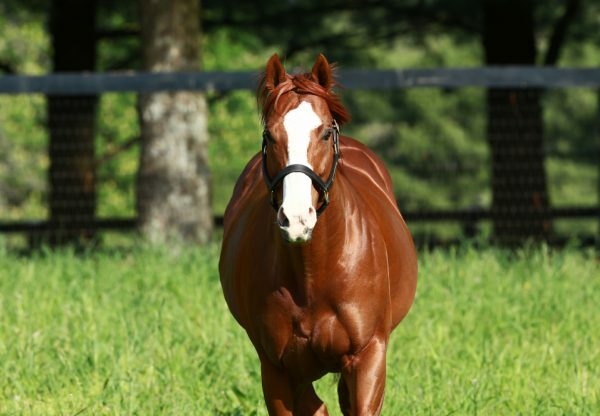 Om is a half-brother to stakes-placed Bear Dixiecat from Rare Cat, a half-sister to Grade III winner Rare Rock.